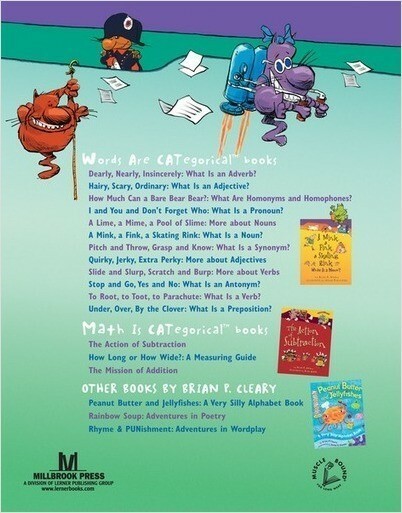 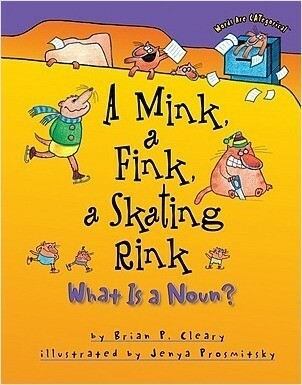 “Word-Nerd” Brian P. Cleary and highly-acclaimed illustrator Brian Gable collaborate to clarify the concept of synonyms for young readers with playful, lively, and whimsical rhymes and humorous, comical, and amusing illustrations. For easy identification, synonyms are printed in color, and key words are illustrated on each page. 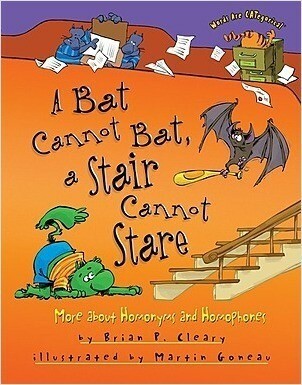 This funny, best-selling series shows, not tells, each part of speech.